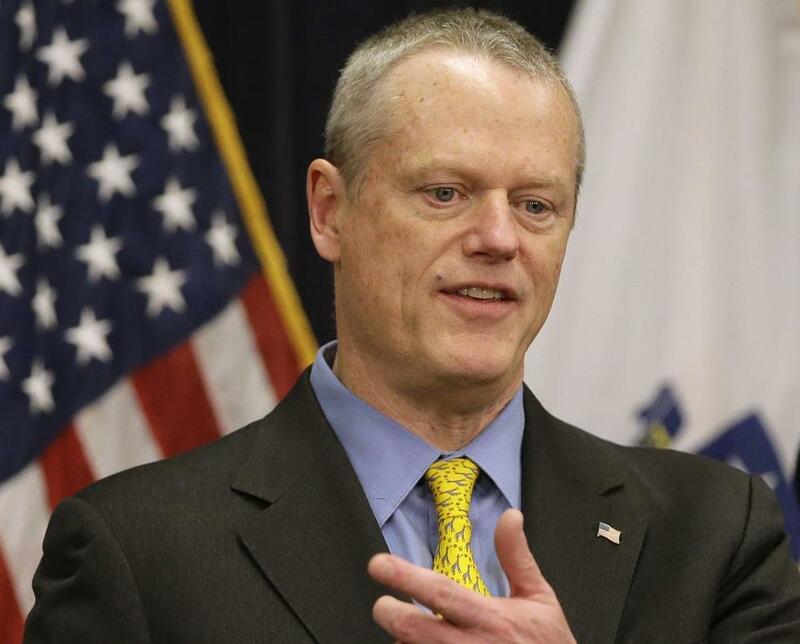 Federal officials have rejected proposals from Governor Charlie Baker’s administration to slash costs in the Massachusetts Medicaid program by limiting coverage for some prescription drugs and moving thousands of people off the program. The Washington-based Centers for Medicare & Medicaid Services, or CMS, said Wednesday that Massachusetts’ request did not meet the agency’s requirements for such changes. The decision dealt a setback to Baker as he seeks to curb the rising costs of health care in the state budget. Baker administration officials had sought to exclude certain specialty medications from Medicaid coverage, noting that just 30 high-cost drugs account for more than $600 million in annual spending. In another cost-cutting move, the governor also proposed changing eligibility rules to shift 140,000 adults off the state Medicaid program and onto other subsidized health plans. The proposal required approval from state lawmakers as well as federal officials; it now has been rejected by both. Baker proposed the changes last year as part of a package to save millions of dollars in the state Medicaid program, or MassHealth. The taxpayer-funded program provides health coverage for about 1.85 million poor and low-income residents. But the proposals have met with resistance from lawmakers and advocates who said they worried the state was trying to diminish coverage for families in need. Sharon Torgerson, a spokeswoman for the state office of health and human services, which oversees MassHealth, said the administration would continue looking for ways to reduce health care costs. “While it is disappointing that our request to more effectively control rising pharmacy costs was not approved at this time, we remain committed to finding more innovative state-based solutions to reduce the growth in drug spending while maintaining access to necessary medications,” Torgerson said in a statement. Administration officials are pursing other initiatives to cut drug costs that need state legislators’ approval but not federal approval, they said. They want to negotiate prices directly with drug makers, for example, and require drug makers to publicly justify prices for expensive drugs. The costs of the MassHealth program, which exceed $16 billion a year, are split between the state and federal governments. State officials said MassHealth spending on prescription drugs doubled from $1.1 billion to $2.2 billion in the last five years — making drug costs a prime target for cuts. Baker administration officials wanted to create an approved list of drugs for MassHealth, similar to the lists used by private health insurers. But CMS said it couldn’t consider that request unless the state dropped out of a federal program that provides drugs discounts. “CMS supports the state’s goal of lowering drug costs, and will continue to provide technical assistance on options to test innovative drug coverage mechanisms,” federal officials said. The state proposal to restrict MassHealth drug coverage drew national attention and a rebuke from drug companies as well as advocacy groups. The Baker administration’s plan to shift 140,000 adults, including many parents, off of MassHealth also has drawn opposition. Earlier this year, Baker said the change would allow these people to receive the same health benefits, and at roughly the same costs, but on private plans instead of MassHealth. He estimated that federal funding formulas would allow Massachusetts to receive an additional $120 million per year through the change. The Boston-based consumer advocacy group Health Care For All applauded CMS’s decision to block the move. Not all of the Baker administration’s ideas were rejected by the federal government. CMS approved a requested change to help disabled veterans and their families maintain access to MassHealth coverage. While Baker, a Republican, has said that changes are necessary to curb MassHealth costs, the Democrat-controlled state Legislature has avoided tackling the program in a significant way. Both the House and Senate have approved sweeping health care bills that omit big changes to MassHealth. Lawmakers from the two chambers are now negotiating a compromise bill.